I got a note from Bob Byrne — who you may know as “the Solar Pons guy” who wrote that thorough survey of Bogie vs. Raft I linked to awhile back — asking if I’d contribute to a symposium he’s assembling over on the Black Gate blog. Discovering Robert E. Howard — sort of a Summer of Bob thing. Sure, why not? I had a bagatelle on the subject of Robert E. Howard vs. H. P. Lovecraft I’d been meaning to write up in any case — you know, where I tell you what’s in the bag, and you didn’t even know there was a bag. The little essay went live today under the title “Pigeons from Hell from Lovecraft” — if you’re interested in that sort of thing, surf over and check it out. I think it is one of my cooler — and quite possibly controversial — discoveries. Howard fans usually don’t want to give Lovecraft any points. Lovecraft fans typically sneer in disgust if you gently remind them that Howard was right there in the erupting creative volcano side-by-side with Lovecraft. And of course I consider this tidbit as something of a codicil to my pal Brian Leno’s excellent essay “Lovecraft’s Southern Vacation” from The Cimmerian V3n2 for February 2006. Brian was the first guy to show how Howard’s yarn “Pigeons from Hell” was a reflection of the ongoing arguments Howard and Lovecraft were having in their prolific correspondence. Today everyone pretends like they were always aware of that angle — nope, not until Brian tipped them off. 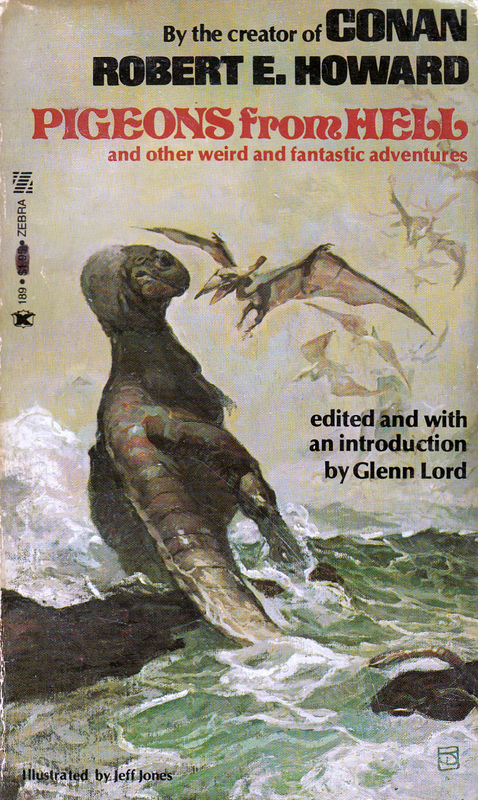 This entry was posted in Lit, News, REH and tagged "Pigeons from Hell from Lovecraft", Black Gate, Bob Byrne, Brian Leno, Lovecraft, Solar Pons, The Cimmerian. Bookmark the permalink.